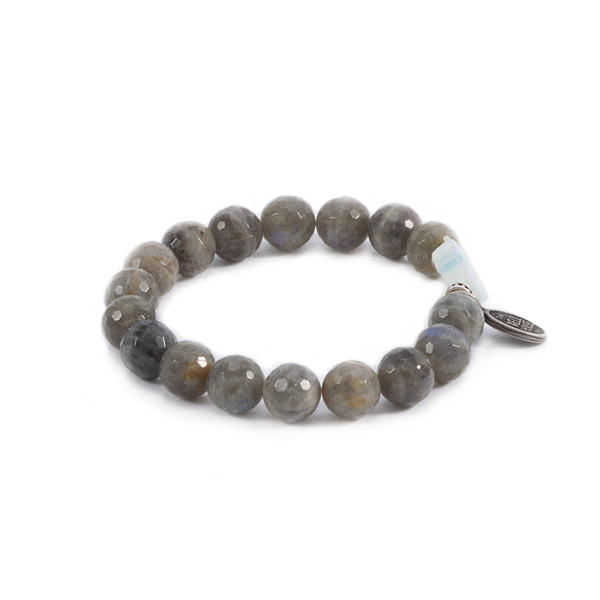 Made from labradorite beads with a natural opal stone cross, this bracelet features the stamped WellHouse logo. 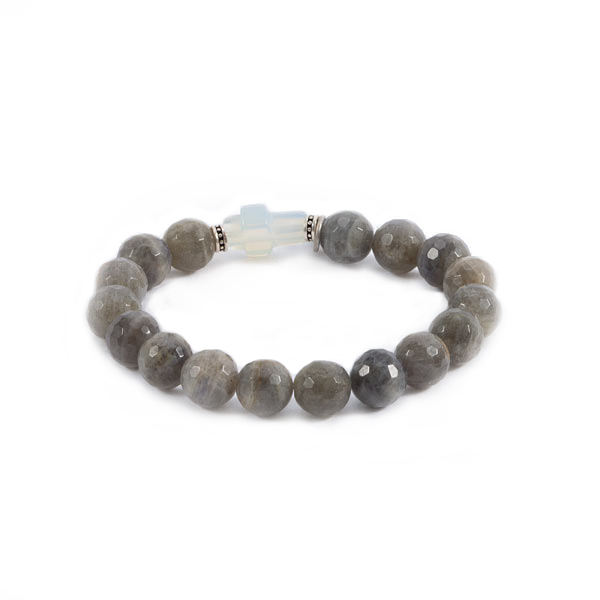 Add a unique touch to any outfit with this handcrafted bracelet. 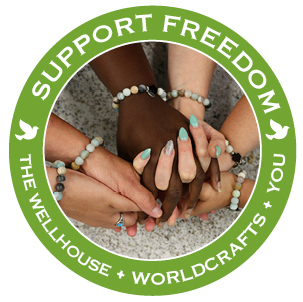 Each bracelet represents the hope, love and courage being shared with survivors of human trafficking at The WellHouse just outside Birmingham, Alabama. 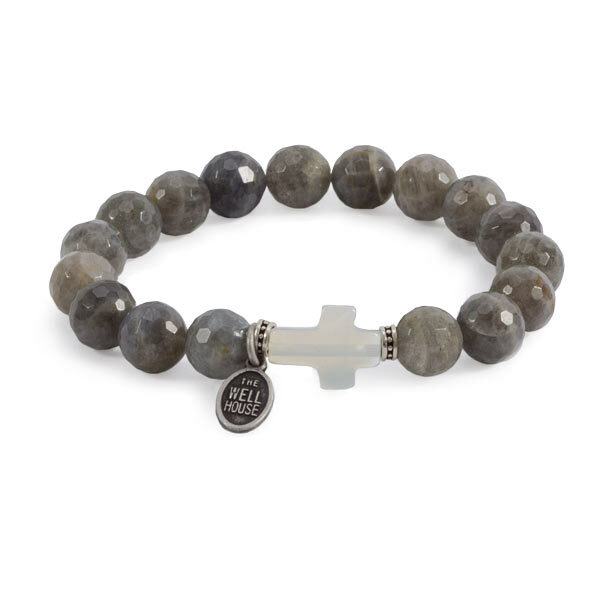 Made from labradorite beads with a natural opal stone cross, this bracelet features the stamped WellHouse logo. 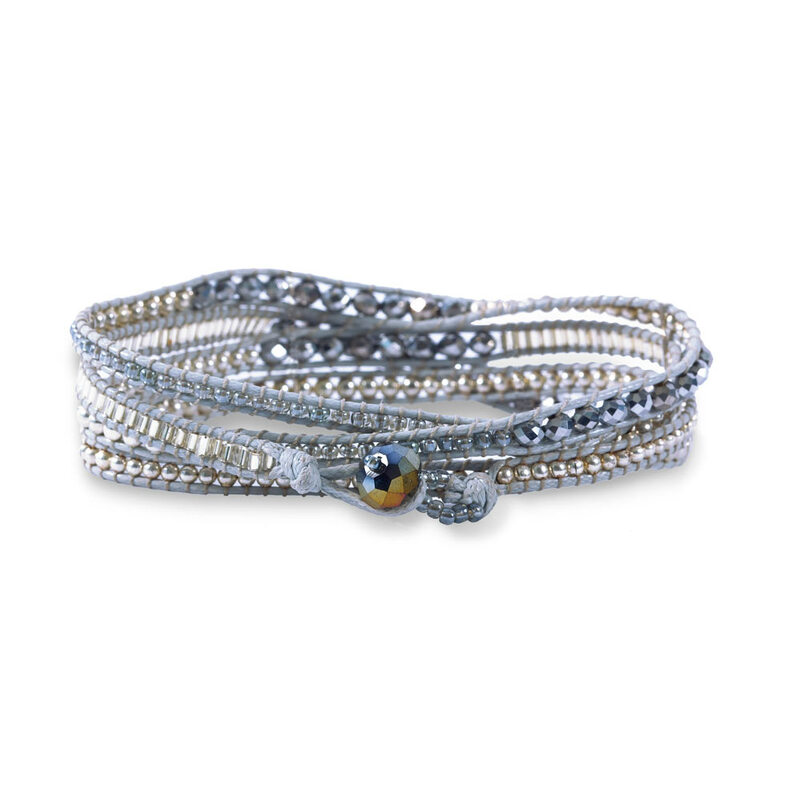 Measures 7.5 inches long.